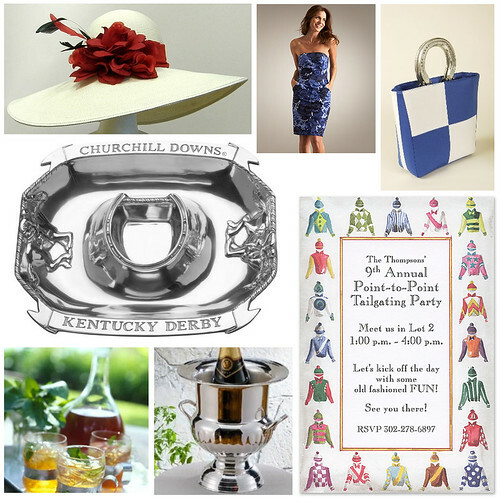 An event full of mingling, pageantry and thoroughbreds, the Kentucky Derby is one of the few sporting events that is as stylish as it is suspenseful. Whether you're hosting an infield party, simply making an appearance or having a viewing event in your own home, the following must-have items will help put your party in the winner's circle. Place mint leaves, sugar and a small measure of bourbon in a glass. Muddle with spoon. Half fill the glass with ice and gentle agitate the mixture. Fill with remaining ice, add rest of bourbon and top off with soda water. Garnish with fresh sprig of mint and a twist of lemon. Gently dust with sugar.